Daniela Ovadia has a medical and neuroscientific background. She is also a science journalist (member of the Italian order of professional journalists since 1997) and a science communicator specialized in public involvement and participatory processes on controversial issues related to science. She works as a consultant in ethics and neuroethics since 2008 for many institutions and universities in Italy and abroad. She took part into EU projects in the field of ethics, RRI and ethics assessment. She is a member of the International Neuroethics Society, of the Italian Society for Neuroethics and Philosophy of Neuroscience (SINe), one of the founders and member of the steering committee of the European Association for Neuroscience and Law. She leads the Center for Ethical Science Journalism in Milan and she is the co-director of the Neuroscience and Society Lab at the Brain and Behavioral Sciences Department at University of Pavia. · She started her activity as a researcher in the field of neuropsychology at Niguarda Hospital (Milan) in 1989, with a study on the cognitive effects of antiHIV therapies. · From 1991 to 1993 she received a grant from the Lombardy Region to study brain lateralization in epileptic patients candidate to surgery. 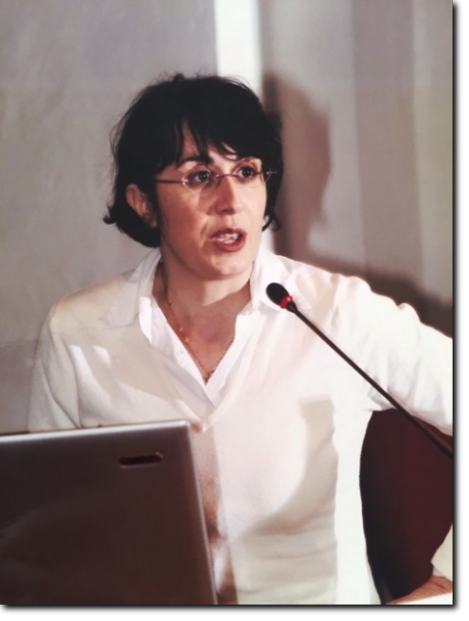 · In 1995 she moved to Zadig Agency, one of the main italian agencies for science and medical journalism, where she worked in the editorial staff until 2000. · In 2001 she founded Agenzia Zoe, an agency to promote excellence in science journalism and science communication. Agency Zoe is at the forefront in supporting research and public debate with all the social actors involved in the production and dissemination of scientific knowledge, especially related to medicine and health, both to the professionals and to the wider public. · From 2009 to 2011 she took part, as an expert in ethics and public involvement, in the Brain in Dialogue Project (http://www.neuromedia.eu/) supported by the EU Commission under the FP7. · From 2010 to 2013 she received a grant by the Italian Ministry of Health to assess the ethical impact of the TUTOR project (domotic and robot assistance in patient with spinal cord injury) at Niguarda Hospital – Milan (Principal investigator prof Gabriella Bottini). · From 2013 to 2015 she received a grant by the Italian Ministry of Health for the MAPS project (“A multicentric study to standardize a new informatic tool to assess cognitive and behavioral functions in acute stroke”, principal investigator professor Gabriella Bottini). · In 2015 she received a grant by the Italian Ministry of Research (MIUR) to evaluate the ethical component of the project PRIN2010 “Neurophysiological an behavioral components of body schema and neuromodulation with tDCs in healthy subjects and brain damaged patients” (principal investigator professor Gabriella Bottini). · Since 2014 she has been leading, on behalf of EUSJA, one of the research teams in the SATORI project- Stakeholders Acting Together On the ethical impact assessment of Research and Innovation, a EU project funded by the EU Commission under the FP7. SATORI is a platform for the consolidation and advancement of ethical assessment in research and innovation. The 4-year project aims to develop a common framework of ethical principles and practical approaches so as to strengthen shared understandings among actors involved in the design and implementation of research ethics (http://satoriproject.eu/, principal investigator professor Philip Brey, University of Twente, ND). · From 2002 to 2009 she teached science journalism at University of Padua. · In 2013 and 2014 she worked as a consultant for the UNESCO Office in Venice to teach ethics in science communication at the Balkan School for Science Journalism (Belgrade, Podgorica). · Since 2010 she teaches ethics, neuroethics, public involvement and ethics assessment for RRI at University of Pavia (Brain and Behavioral Sciences Dept), University Sapienza in Rome (Biology Dept) and Milan Politecnico (Design and Innovation Dept). · She is a member of the faculty of the School in Neuroscience and Law organized by EANL, ECLT and University of Pavia since its first edition in 2011 (http://www.unipv-lawtech.eu/lang1/eanl-winter-school.html). · Ovadia D, Bencivelli S. È la medicina, bellezza! Perché è così difficile comunicare la medicina. Carocci editore (in press, settembre 2016). · Ovadia D, Bottini G. Neuroethical implications of deep brain stimulation in degenerative disorders. Current Opinion in Neurology 2015; 28(6): 598-603. · Vallar G, Rusconi ML, Barozzi S, Ovadia D. Improvement of left visuo-spatial hemineglect by left-sided transcutaneous electrical stimulation. Neuropsychologia 1995; 33 (1), 73-82..
· Ovadia D. Neuroscienze per le scuole superiori (Neuroscience for high-school students). Pearson Paravia, Milano, 2009. · Ricordi C, Ovadia D. La fine del diabete (The end of diabetes). Dalai Editore, Milano, 2012. · Bottini G, Sedda A, Ovadia D. Past present and future of neuroscience and law. Italian J of Criminology 2015; 7(1): 17-22. · F Fiori, A Sedda, ER Ferrè, A Toraldo, M Querzola, F Pasotti, D Ovadia et al. Motor imagery in spinal cord injury patients: Moving makes the difference. Journal of neuropsychology 2014; 8(2): 199-215. · F Fiori, A Sedda, ER Ferrè, A Toraldo, M Querzola, F Pasotti, D Ovadia. Exploring motor and visual imagery in Amyotrophic Lateral Sclerosis. Experimental brain research 2013; 226 (4), 537-547. · Gilbert F, Ovadia D. Deep Brain Stimulation in the Media: Over-Optimistic Portrayals Call for a New Strategy Involving Journalists and Scientists in Ethical Debates. Frontiers in Integrative Neuroscience 2011; 5. · Scarpa P, Ovadia D, Scifo P, Mai R, Defanti CA, Fazio F, Lo Russo G, Paulesu E, Bottini G. When crebral cognitive competences are reserved: a single case. Boll LICE 2003; 121-124. · Pesenti G. Bottini G, Ovadia D, Scarpa P, Basilico S, Toraldo. Cognitive evaluation of patients with temporal epilepsy, candidates for surgery. Chir Ital 1996; 48(6): 31-34.